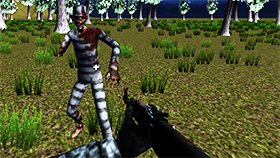 Welcome to Nazi Zombie Army, an interesting horror, army, and 3D - FPS video game. The game brings you a dark city with many dangerous creatures and haunted dogs. 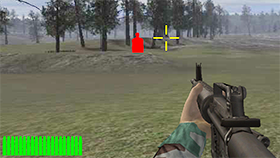 In this game, you control a great soldier with the first person view and your task is to kill the Nazi Boss as fast as you can. After hitting the Star Game button, you will appear at a crossroad in the city with a pistol. You have to watch the map carefully because these enemies will come to you in seconds. The Nazi Boss’ haunted dogs and his minions can attack and kill you. So you need to shoot at them and survive as long as possible. You earn money for each killed enemy and you can press the “I” key to open the Shop then purchase some better weapons to fight the Nazi boss. This is the final task so you will have a hard time for sure, but it’s very interesting. 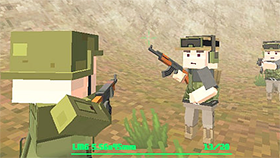 Moreover, the achievement feature of this game is very cool, such as get 5000 points for killing of enemies, kill 30 zombies in one game, the first zombie’s death… Will you play this game? Good luck and have fun! 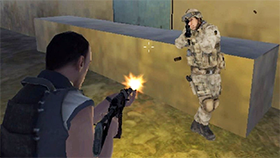 Use these ZQSD or WASD or arrows keys to control the soldier. 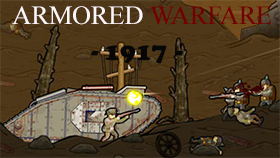 Use your mouse to attack (left click to shoot and right click to zoom). Use these 1, 2, 3 number keys to select the weapon. Press the left shift to run and left alt to crouch. 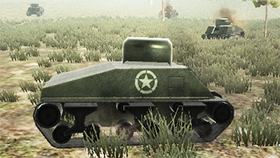 Press the X to prone and P to pause. Press E to use the item and Space bar to jump. Press L to lock mouse curse so you can play the game easier. With local save, you won’t have some bonuses. At the right bottom of the screen are your health and your armor. Watch them to survive! Are you looking for Nazi Zombie Army Unblocked? If so, you can go to our site Freegames66.com and play it for free. 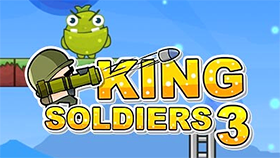 Here we bring you Army Training - Field Forces Unblocked with a friendly user interface, and other great unblocked games. We do not block anything so you can access Freegames66.com whenever you want! 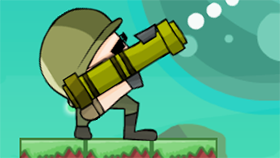 Now, enter Nazi Zombie Army Unblocked, find the Nazi Boss and kill him!